To The Batpoles! Batman 1966: #011 "Oh, you pixie!" 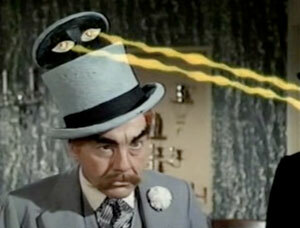 It's David Wayne's first appearance as the foppish Mad Hatter! Tim and Paul discuss other highlights of Wayne's career besides his two faceoffs with that other Wayne, Bruce! Doesn't Robin seem underemployed in this episode? Why is this arc's writer, Charles Hoffman, often dissed by Bat-fans? What's his connection to Diane McBain, who plays Lisa? Plus, the super-cool Super Instant Mesmerizer, why Tim found the plaster-dumping cliffhanger frightening when he was 9, and the surprising number of actors from this arc who later appeared on Dallas!